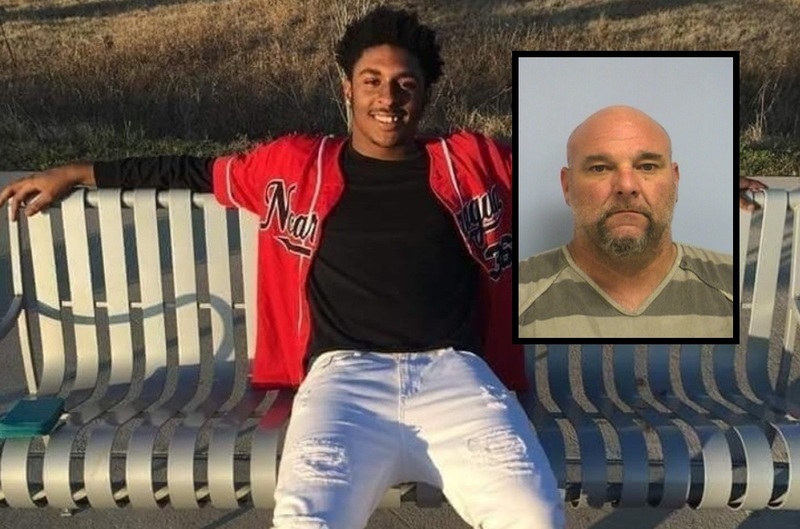 Police in Austin have arrested and charged a man with first-degree murder after fatally shooting a teenager over fireworks. Court documents say 41-year-old Jason Roche was booked into the Travis County Jail for the death of Devonte Ortiz. Roche told police he shot Ortiz in self-defense after Ortiz reached for a gun during a dispute over fireworks. Police say video evidence contradicts Roche's story of firing in self-defense. Police arrived at the Pleasant Hills Apartments on Anken Drive in Southeast Austin after a report of a shooting. When they arrived they found Ortiz with a gunshot wound and transported him to the hospital where he died. Roche told investigators he had gone outside that night to ask Ortiz and his friends to stop shooting off fireworks. When the fireworks continued, Roche came outside to confront his neighbors a second time. The court affidavit says Roche claimed that Ortiz reached for a gun that was laying on the ground prompting him to fire in self-defense. Cell phone video contradicts Roche's claims and shows Ortiz was not holding a firearm when he was shot. The video also shows Roche brandishing his firearm several times during the dispute. Roche's father steps in to intervene and he and Ortiz began arguing and shoving each other. Police say in the affidavit that Ortiz was moving away from the firearm and not lunging toward it when he was shot. The family of Ortiz has set up a <a href="https://www.gofundme.com/jkhe6k-devonte-ortiz-gone-too-soon">GoFundMe </a> to help with funeral expenses and say he was a former A/B honor roll student and star football player at Travis High School. A friend of the family named Tontanisha said, "Devonte has never been in trouble, never been the type of child that was confrontational he was a normal kid with a bright future ahead and it all ended to a senseless tragedy. Anything he did he did with his whole heart." Roche was booked into the Travis County Jail on a charge of first-degree murder where he is being held on $250,000 bond.